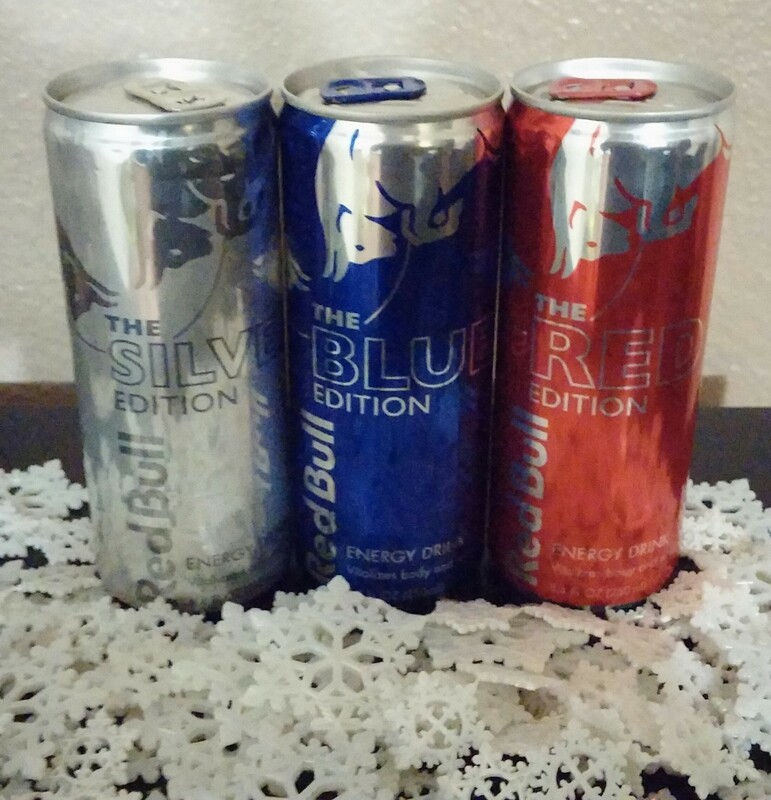 The Energy Drink of the Month for December 2013 is a 3-way tie for the Red Bull Editions, Red, Blue and White. These products beat the competition in 5 categories: color, size, content, availability, and inspiration. Due to the time-crunch of the holiday season, this post is short and sweet, like the products themselves. The colors are festive! The white is like snow, the red is like Santa’s sleigh, and the blue and white together are the colors of Hanukkah. The added benefit of the blue is that it looks remarkably similar to Coca-Cola when poured in a glass; if you’re at a neighbor’s party trying to hide the fact you’re sipping caffeine, the Blue Edition is the way to go! With the busy holiday schedules and constant parade of social activities, it helps to keep some caffeine handy. Maybe you’re thinking, “Wouldn’t something smaller, like an energy shot, be even better than an 8 ounce can?” NO! In this case, a shot is too small because when you can swallow the whole product in one gulp it limits the Placebo Effect. A product large enough to enjoy over 20 minutes will feel more effective than one that’s gone in 60 seconds. 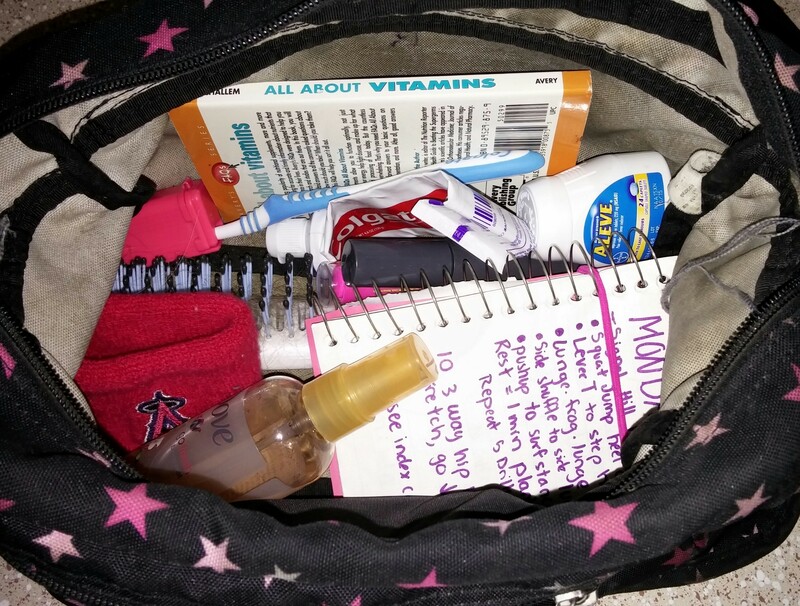 Plus, while I can’t speak for anyone else, it’s not easy to find an energy shot in my purse with all the other items floating around in there. Taurine – There’s no shortage of scary stories about taurine floating out there in the world, but I’ve discussed this amino acid in another post: Flugtags, Taurine and the Truth Behind the Slogan: Three Things You Didn’t Know About Red Bull. Caffeine – 80 milligrams of caffeine per 8 ounces is a moderate dose, according to Caffeine Informer’s database. The carbonation and caffeine content put this product at a Level 2 in the 5 Levels of Fatigue from Are You a Monster or a Rock Star: A Guide to Energy Drinks. For many people, including myself, this is the perfect dose of caffeine because it’s just enough to feel more alert, but not enough to feel jittery. Remember, caffeine affects everyone differently so identifying your own ideal amount is key to making the best beverage choice for your body and lifestyle. Sugars – 27 grams of sugar isn’t ideal, but since it’s coming from plain old glucose and sucrose you don’t have to worry about High-Fructose Corn Syrup or non-nutritive sweeteners like Splenda, Ace-K or aspartame. The European Food Safety Authority just published a report proclaiming aspartame’s safety, but if you’re not convinced, “when in doubt, leave it out” of your diet. It’s debatable whether HFCS is any worse than sugar but obviously the more you can limit added sugars, the better. Then again, if you’re a bartender heading home at 4am, a product with some sugar might help you more than just caffeine alone. Make the decision that’s best for you. Vitamins – The Editions include the usual B-vitamins and the amounts are helpful, not outrageous. B-vitamins are water-soluble, so you can have as much as you want, right? Wrong. More isn’t always better, even with B-vitamins. For specifics, see my previous post: July’s Energy Drink of the Month. It’s harder to consume caffeine safely when the only energy drink a concession stand carries is the high-powered one. The Editions have grown so much in popularity that they’re easier to find at gas stations, grocery stores, even some bars and restaurants. The Editions are the perfect energy drink for December but there is no energy drink on the planet that will magically make you sober. Please be safe and do not combine energy drinks with alcohol. 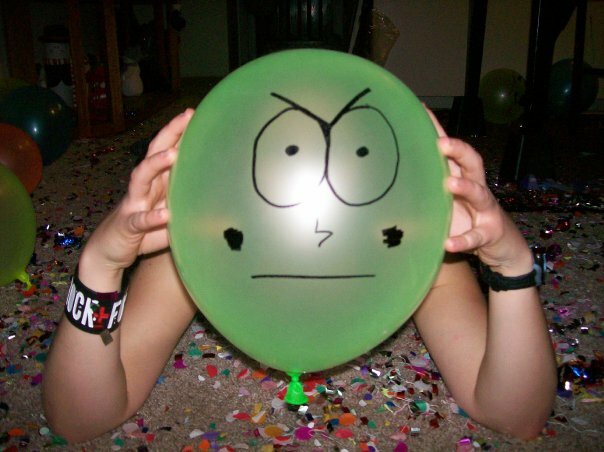 Caffeine might make you feel less drunk but your reflexes and reactions times are still impaired! Safe and Happy Holidays from the Green-Eyed Guide! Absolute zero. Can’t be beat. You mean Red Bull Total Zero? Yes, I like that one too. I tend to prefer energy drinks with no added sugars but it depends on the situation. Thanks for the comment! I LOVE evaluating new energy drinks. There are MANY products out there that are questionable, but many that are surprisingly good and backed by solid science. Unfortunately with the holidays I don’t have any time to give this BluFrog drink you mentioned a proper evaluation. Please accept my apologies but if you send me the information I would LOVE to look at it and offer my “Green-Eyed Insight”. Thank you for the comments!